Accounting and inventory management under one roof. Keep tabs on your inventory online with Zoho Books. 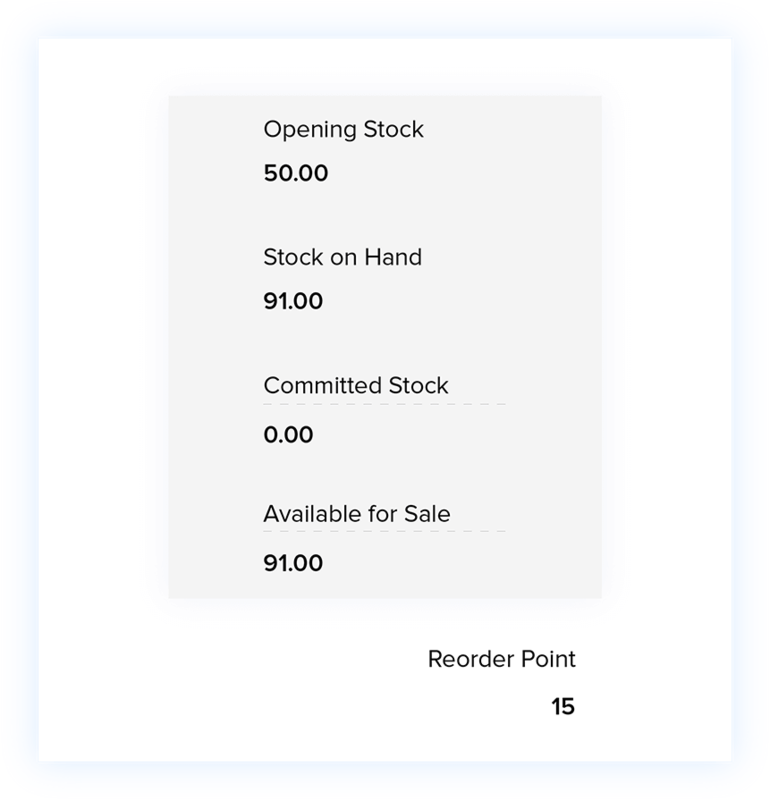 Complete inventory management from monitoring stock levels to replenishing them. Organize your inventory with vital information like SKU, product image, vendor details, cost, and stock on hand. 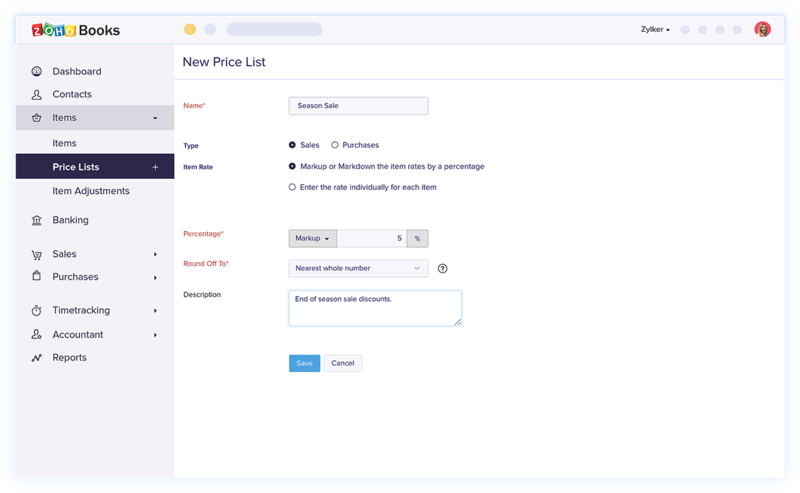 Create a customized price list with markups or markdowns and offer it to your preferred vendors and customers. Track your items from the moment you create them. 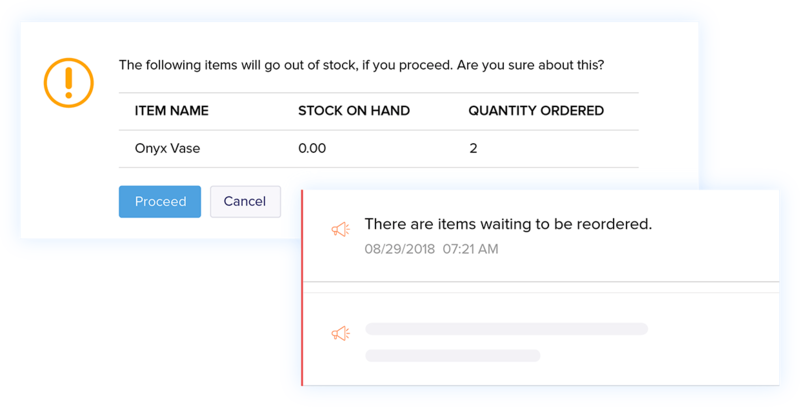 Enabling inventory tracking helps you keep tabs on your stock levels at all times. 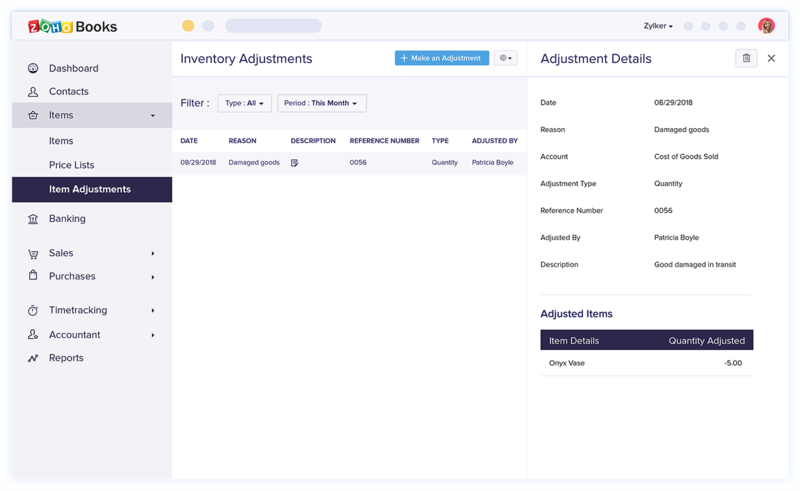 Need an advanced inventory management software? Try Zoho Inventory. 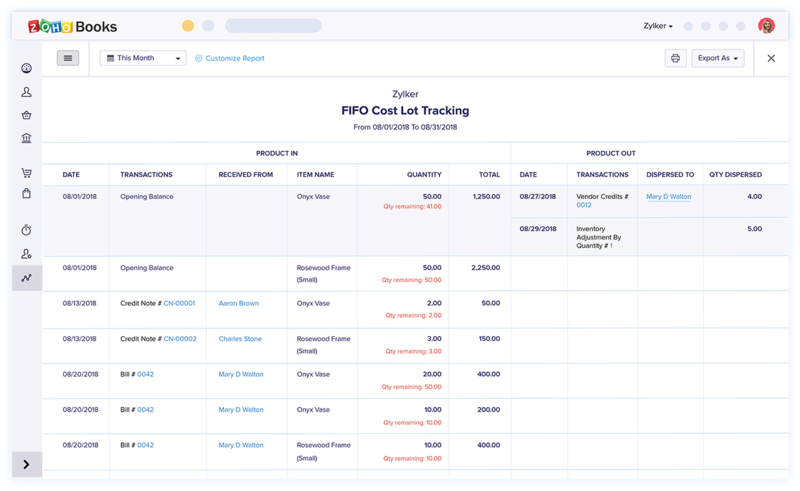 Increase your sales and keep track of every unit with our powerful stock management, order fulfillment, and inventory control software. It's also seamlessly integrated with Zoho Books. Set reorder levels and get alerts before the stock level dips below your minimum. If you select preferred vendors for specific items, you can send purchase orders instantly. Adjust your inventory instantly when stock gets damaged or lost. Make shelf counts easier by keeping inventory levels up to date. See your stock on hand and its current valuation at any time. Zoho Books values your inventory using FIFO methodology. 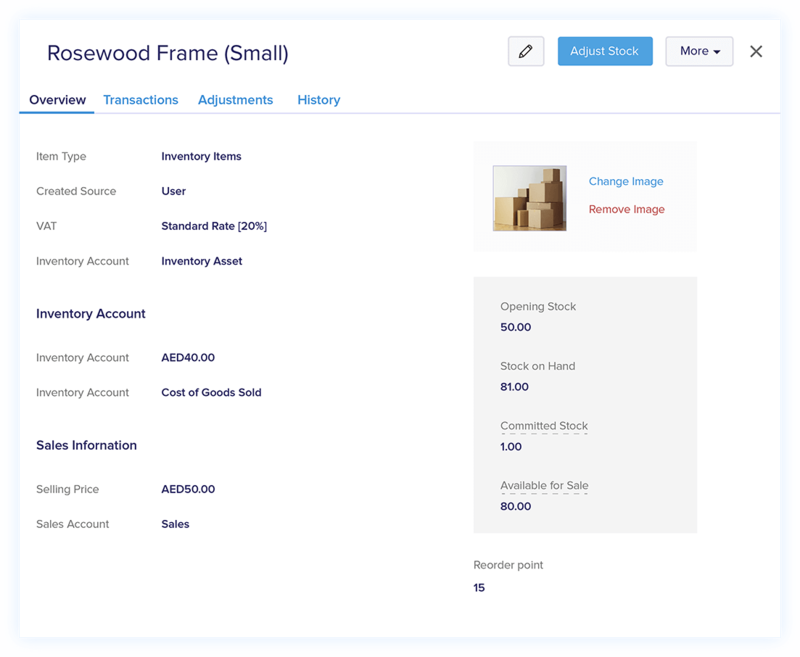 An accounting solution that doubles as an inventory management software.